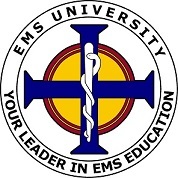 The EMS University, LLC EMT Course consists of a total of 184 hours. Specifically, this is a total of 152 hours of didactic instruction, 4 hours of practical examination assistance, 16 hours of clinical rotations and 12 hours of vehicular rotations (28 hours externship total). Course hours are subject to change with appropriate notification to the student/applicant. This course shall meet and/or exceed the United States Department of Transportation, National Highway Transportation Safety Administration, Emergency Medical Technician National Standard Curriculum guidelines and 2009, the National EMS Education Standards as well as meet Arizona Department of Health Services, Bureau of EMS education standards. Offered in person and online as a CAPCE Approved F5 Traditional Refresher Course, this 24 Hour NREMT Refresher course for the EMT is Commission on Accreditation for Pre-Hospital Continuing Education (CAPCE) accredited and follows the U.S. Department of Transportation (DOT) National Standard Curriculum for Emergency Medical Technician Refresher. Students are trained according to the standards outlined in the course profile link above. Students who successfully pass the course, will be presented with a certificate outlining the applicable topic areas. This 24 hour course includes topics identified by the NREMT, necessary to recertify under Section II of the NREMT recertification brochure. This course is approved by the Commission on Accreditation for Pre-Hospital Continuing Education (CAPCE). The class also follows the U.S. Department of Transportation (DOT) National Standard Curriculum for Emergency Medical Technician Refresher. Additionally, this class is approved by the California and San Diego County EMS Authority for recertification by CE hours. Students who successfully pass the course, will be presented with a certificate outlining the applicable topic areas. This class also serves as a transition course for the NREMT-B to the NREMT level. This course cannot be used to verify skills competency. 24.0 Hours of Continuing Education (24.0 CEU) provided upon successful completion. EMS University, LLC is accredited by CAPCE to offer CEU Hours. This 48 Hour NREMT Refresher course for the EMT is Commission on Accreditation for Pre-Hospital Continuing Education (CAPCE) approved and follows the U.S. Department of Transportation (DOT) National Standard Curriculum for the Paramedic Refresher. Students are trained according to the standards outlined in the course profile link above. Students who successfully pass the course, will be presented with a certificate outlining the applicable topic areas. Formerly titled, First Responder, in addition to the EMT Program, you can also become certified in the state of Arizona as an Emergency Medical Responder. This 48 hour course consists of introductory material into the EMS system and components relating to medical practice in the prehospital field. EMRs understand a great deal relating to both medical and trauma situations, including how to deal with cuts, burns, bites, stings, heart attacks, stroke, diabetes, etc. This course discusses some of the common problems and how to overcome them which relate to enrollment in an EMT course. Additionally, this course will help to prepare the EMT or EMR student for success in their program by providing them with the information to become organized in the course. This course is designed to be taken by EMT students to help them to become more successful in the EMT program. A 2015 ECC/AHA Guidelines compliant course, this program's goal is to help the student recognize cardiopulmonary emergencies (including cardiac arrest and peri-arrest conditions) and other medical conditions (such as stroke) that require rapid initial emergency care to reduce disability and death and manage the initial actions of an emergency response team, evaluating airway management, dysrhythmia recognition, electrical interventions (where applicable), and pharmacologic interventions for these conditions. This 40 Hour EMS Instructional Strategies course is designed for the entry level EMS Instructor prior to formal instruction in an Emergency Medical Services educational program. This course is based on the 2002 National Guidelines For Educating EMS Instructors, which is a consortium of guidelines from the National Association of EMS Educators, the U.S. Department of Transportation, and the U.S. Department of Health and Human Services. Successful completion of this course shall entitle the student to EMS Instructor certification. This 8 Hour, fully compliant, Arizona DHS BEMS approved course follows the U.S. Department of Transportation (DOT) National Standard Curriculum for Emergency Medical Technician Basic Refresher, 2009 National Education Standards. Students who successfully pass the course, will be issued certification identifying the number of hours obtained for training for the use of re-registration as an EMT for the state of Arizona and under the National Registry of Emergency Medical Technicians. Students are permitted to take the written examination only once. This course is designed for the general public and follows the 2015 International Liaison Committee on Resuscitation (ILCOR) Guidelines for Cardiopulmonary Resuscitation (CPR). The student will be issued a certificate upon completion of the course. This Basic Life Support (BLS) course is designed for the Healthcare Professional and follows the 2015 International Liaison Committee on Resuscitation (ILCOR) Guidelines for Cardiopulmonary Resuscitation (CPR). The student will be issued a certificate upon completion of the course. This course is designed for the general public and follows the 2015 International Liaison Committee on Resuscitation (ILCOR) Guidelines for Basic First Aid. The student will be issued a certificate upon completion of the course.